*Add a qualifying Milwaukee Trimmer or Chainsaw M18 FUEL Kit to your cart and the free item will automatically be added. Limit 2 free items per customer. Valid on select items, qualifying items are identified on the product page. Offer valid until 11:59pm ET on May 1, 2019 or while supplies last. No adjustments to previous purchases. Subject to change without notice. *Price already reflects discount on product page. Valid on select items, qualifying items are identified on the product page. Offer not valid on open box or certified items. Discount applies to merchandise only. Excludes tax and shipping. Offer valid until 11:59pm ET on April 28, 2019 or while supplies last. No adjustments to previous purchases. Subject to change without notice. 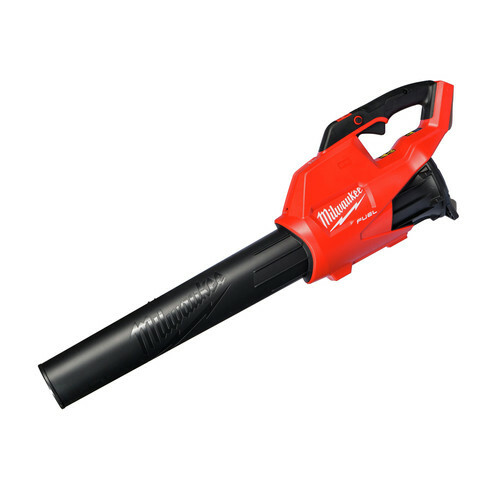 Power meets or beats 2 cycle gas trimmers! I bought this weedeater because I was tired of mixing fuel and or buying cans of fuel for 5-6$ every other time I used my gas powered one and I am not disappointed!The 9ah battery lasts 35-40 minutes wide open so I usually get my .65 acre lawn done with one charge.The new rapid charge charger's are great as I can get a full charge in around 30 minutes.The only problem so far is with the self feeding head as it spits out line sometimes before I need it.It seems to be real sensitive with not much pressure on the head cap needed for this to happen.Also line gets twisted up in the head real easy and doesn't feed out when bumped when this happens.The problem may be in how I load the line however.Overall I am very satisfied in the ease of use of this Milwaukee trimmer and would highly recommend it! Love it. So easy to use. lasts a long time. Pricey, but really nice and a must have pisce of equipment for homeowners with some grassy yards. Well, usually quality comes at a price. At the beginning I was little hesitant to do business with CPO, but once I placed the order, I quickly realized that its a pleasure to do business with them, and I disagree with most of the negative reviews about them. I find customer service and shipping all great with CPO as well as Milwaukee. This is what Milwaukee does - builds high quality tools. There is not a comparison on the market!! Buy it!! Greta string trimmer. Nice and tall so you dont have to hunch over. Pretty well weighted too . Has some great power. This is great trimmer. I little heavy with the 9.0 battery but plenty of power for trimming and some heavy weeds and overgrown areas. Very impressed! I had a black and decker trimmer that has no power and/or runtime. trimmer performed as expected. Plenty powerful for my lawn. run time much better than expected. More comfortable than my old gas machine. I was about a week too early, could have purchased locally for $10 cheaper but great tool and quick to finish the job. I have had many weed eater / trimmer this one blows all the others out of the water it does a great job cutting. This machine is well balanced, doesn’t hurt my shoulder like a gas would. I would highly recommend this trimmer to anyone. I love it! Light weight, easy charging. Long enough handle keeping the weeds from flying back on me. Hoping it lasts me awhile. I would suggest anyone to purchase this machine. Works great for getting the long weeds cut fast! The no loud noise if wonderful to my ears. How do you change string? Does this really include two batteries? It looks like other retailers only include one battery. BEST ANSWER: This kit only comes with one (1) battery. Our website is incorrect. What size line will it? The owners manual mentions the size string that it uses. It comes with the trimmer head already loaded with some and they ship an additional spool as well so you can start cutting right away. I love my trimmer. Best unit ever. Be sure to get the high capacity battery recommended for it. Can I buy the bare tool? BEST ANSWER: CPO does not offer the bare tool at this time. Do you tap the ground to reload more string? I've read about other ones that reload every time you hit the button to start it. I see nothing in the description about how this one operates in string reloading. BEST ANSWER: this trimmer has a bump head. It is very easy to restring it as well. Will the 2725-20 work with 5.0ah batteries?? BEST ANSWER: Yes. I’ve used 4.0, 5.0 and 9.0 batteries in my trimmer and blower. Of course run time varies, less run time with the smaller battery. Yes, it will work with 5.0ah M18 batteries. Yes. It works fine just reduced run time. Is it the special fast charger that comes with this kit? That unit does come with the rapid charger, model 48-59-1808. Is this trimmer capable of running brush cutting head? BEST ANSWER: Check with Milwaukee but I don’t think it will. Will M18 batteries that are not m18 fuel work with this? BEST ANSWER: All m18 batteries are the same, so yes.